← Halloween Peeps from the 1950’s! or The Oldest Witchmallows Ever! Though I’d invoked the Twizzlers brand earlier for our Countdown month with my Twizzlers Frankenstein packaging post – I thought their new seasonal flavor warranted the repeat. 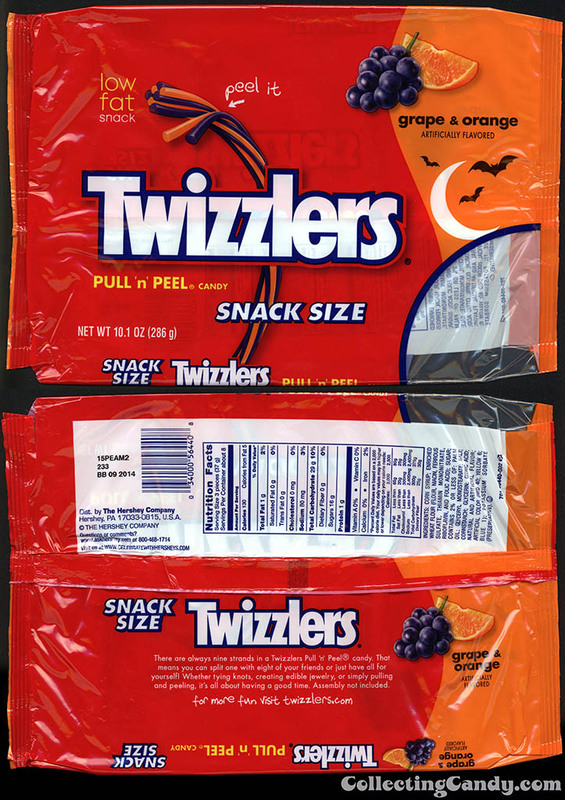 So make the jump to check-out Twizzlers limited edition Halloween release for 2014 – Caramel Apple! Over the past few years I’ve taken a shine to the oddball and limited edition flavor releases of Twizzlers. 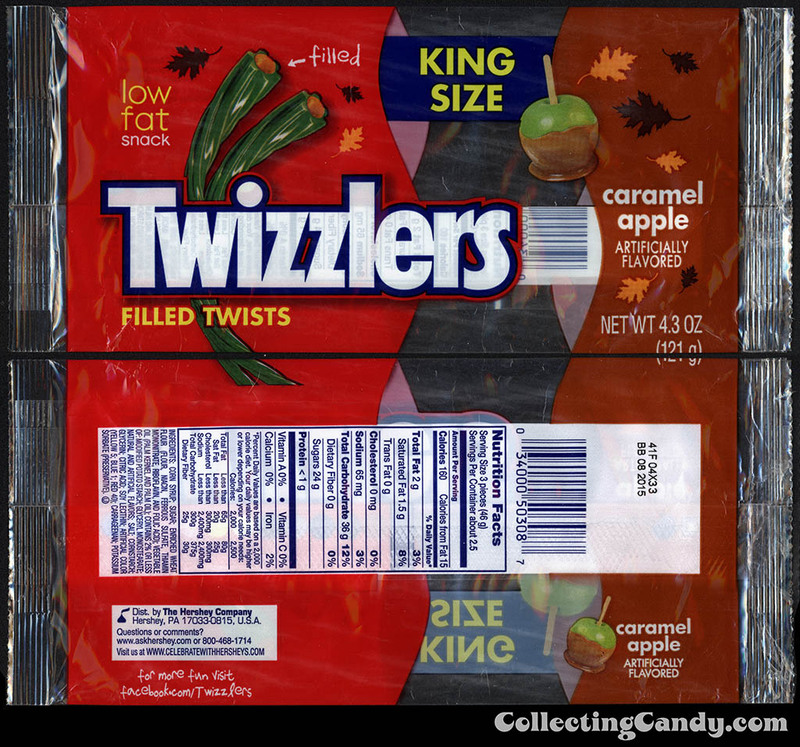 I’ve had a good bit of fun tracking them down and trying them, so I was delighted when I learned that the brand would be getting a new seasonal release this year with Twizzlers Caramel Apple. 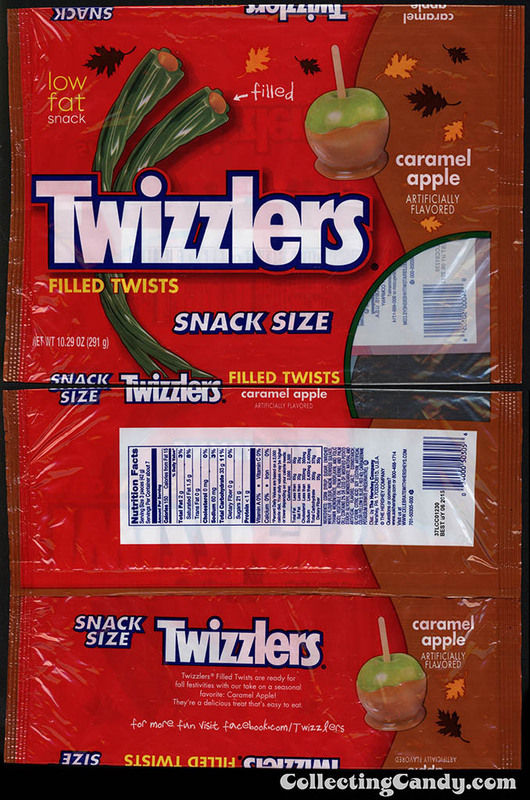 This final and smallest of the Caramel Apple Twizzlers offerings is notable as the packaging shares none of the Fall-themed details found on the larger packs. Is it possible that this is intended to test the waters as a new all-year-round flavor? With a variety of sizes offered, it would seem that Hershey went all-in with this new seasonal flavor, as it was also sold through a number of retailers. At some point soon I hope to bring together a post on all of the Twizzlers flavors I’ve picked up over the years, which are all pretty neat. 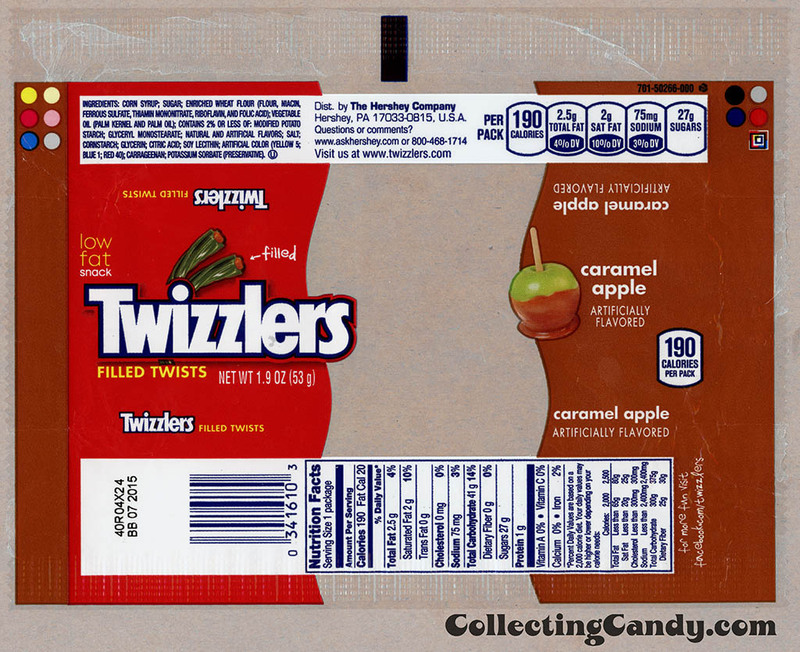 For now, that’s everything I’ve got to share on Twizzlers new Caramel Apple flavor seasonal release. This entry was posted in CountdownToHalloween, Halloween, Hershey, Holiday and tagged candy collecting, candy collection, candy collector, candy wrapper collection, candy wrapper collector, collectible, collecting candy, confectionery, confections, Halloween, Hershey, licorice, packaging, seasonal, sweets, Twizzlers, vintage candy wrapper, wrapper. Bookmark the permalink. 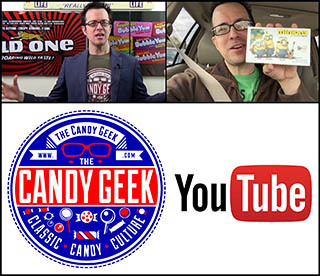 1 Response to New for 2014: Twizzlers Caramel Apple!